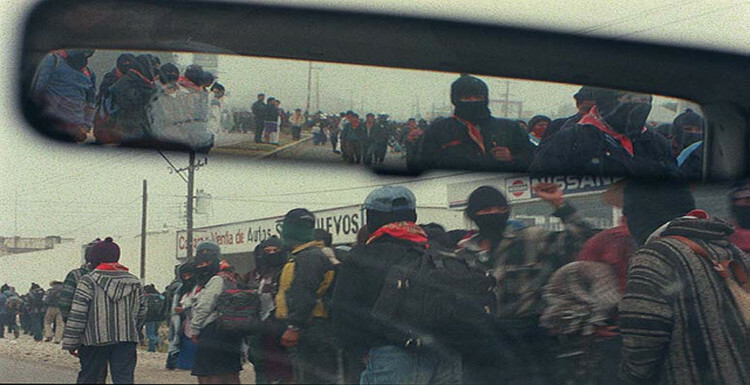 After finishing in Iguala, the normalistas hijacked several buses and set out for the ride home. [ii] Aware of their movements, municipal police and other armed men set up a roadblock. When the students were stopped, the police suddenly opened fire, resulting in six deaths and 25 injuries that night (including young teenagers and their coach on a bus returning from a soccer game). After the hail of bullets, the Iguala municipal police seized 43 of the students who had tried to flee the massacre and put them into police vehicles. In the aftermath, Guerrero State Prosecutor Iñaky Blanco claimed that a local drug trafficking organization leader, from the Guerreros Unidos (“United Warriors”), had ordered his sicaros (“gunmen”) to “disappear and finish off” the students. [iii] On November 7, 2014, Guerreros Unidos members in police custody confessed to the abduction, murder, and burning of the students’ bodies in a landfill in Cocula. [iv] Since the confession, only one set of the uncovered remains, of the 43 disappeared students has been confirmed as belonging to Alexander Mora. Additionally, dozens of mass graves have been uncovered from other similar cases of forced disappearances, which further unveiled the extent of the violence and corruption throughout Mexico. Reports from Mexico’s Center for Research and National Security (Centro de Investigación y Seguridad Nacional, or CISEN) have linked the crimes in Iguala to Mayor Jose Luis Abarca and his wife, María de los Ángeles Pineda Villa. It has been revealed that Abarca and his wife, who are allegedly tied to the Beltran-Leyva drug cartel, instigated the attack against the 43 students. [v] Evidently, the mayor’s wife was worried that the students’ protests would disrupt her public address that night and had her husband order local police units detain the students and have them handed over to Guerreros Unidos to eliminate them. Aimed at combating the drug trade and eliminating corruption, Mexico has implemented federal police and military control of municipalities throughout Mexico. Article 115 of the Mexican Constitution clearly states that it is the fundamental responsibility of the municipalities to guarantee public security. [viii] However, the crimes in Iguala and the ceaseless violence across the country have shocked Mexican society. A June 2013 study by the National Institute of Statistics and Geography (INEGI) revealed that 65.4 percent of the Mexican population, about 118 million people, feel insecure and have changed their habits to avoid crime. [ix] Understandably, the Mexican public no longer trusts the government designated to protect them. Rule of law no longer seems to exist in Mexico. The system is not an anarchic one, but one that is ruled by plata o plomo (“silver or lead”). The Mexican National Human Rights Commission has reported: “In Mexico, where just eight of every 100 crimes committed are reported and only 1 percent of crimes are investigated by prosecutors, this allows 99 percent of crimes to go unpunished.”[x] As countless numbers of government, police, and military personnel work for the DTOs (drug trafficking organizations), drug traffickers and their associates act with essential impunity. These officials do what they must to survive and get what they can out of a no-win situation, as they either submit to the DTOs or are targeted and killed. 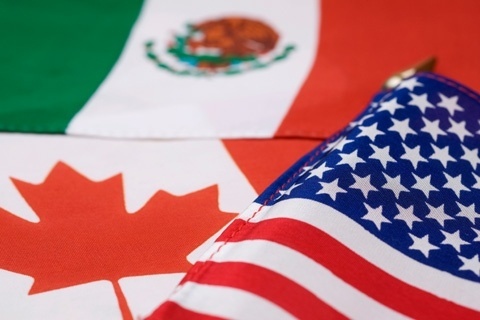 In the same vein, the Mexican public has begun to serve its own interests. A question that many have asked is whether this will spark a revolution in Mexico. Francisco Goldman from The New Yorker suggests that this is an opportunity for Mexico’s civic community to finally create the necessary pressure to combat corruption. [xi] While the Ayotzinapa 43 tragedy is over four months old, its legacies remain as a fresh reminder to the Mexican public of the corruption, violence, and insecurity that surround them. Since September 26, 2014, protests have spread across Mexico in support of the families of the disappeared 43 students. While largely peaceful in nature, several have escalated to vandalizing stores and government buildings, leading to police intervention and conflict with the protesters. The families have continued to push the Mexican government to provide them with answers, but nothing new has been reported aside from more allegations of government involvement. This has only served to decrease the credibility of the government, despite its pledges to investigate the event, and pushed the public to new levels of distrust and fear leading many persons to turn to new avenues of justice and security. Even prior to the tragic Ayotzinapa event, Mexicans had grown tired of living in fear. The creation of self-defense forces to restore stability to war-torn communities has proliferated throughout Mexico. After a decade in which the Mexican state has proven non-existent in many parts of the country, Mexican citizens have shouldered the burden and refused to be extorted and pushed into fear of the drug trade and corrupt local and state government officials. Members of organized crime and those they corrupt act with impunity, especially in those states and municipalities critical to the drug trade. These groups have also established themselves to protect the resources of the community from exploitation by the state that provides insufficient security and social services. These fuerzas autodefensas (self-defense forces) provide the communities with a basic avenue by which to obtain extra-legal justice and the ability to act autonomously from the state that they distrust. In Mexico, approximately nine out of ten crimes have no legal consequences. [xii] However, for example, a Guerrero self-defense force “detained 54 people for over six weeks, accusing them of crimes ranging from stealing cattle to murder. After a series of unofficial trials, they handed 20 of them over to local prosecutors and let the rest go free.”[xiii] There are concerns of the self-defense groups radicalizing into paramilitary groups as was the case in Colombia, but the Mexican government has attempted to co-opt them into the system through the handover and “swearing in” programs aimed at legitimizing the groups. Still, there are reports of the self-defense forces acting with impunity themselves, extorting local business for additional financing when the original funds the businesses gave the groups have run dry. This epitomizes the incivility and lawlessness of Mexico today. Mass protests occurring throughout Mexico and the development of self-defense forces to compensate for the state’s lack of adequate citizen security suggest there could be a revolution brewing in Mexico. Not only has the public become more active in demanding change, but revolutionary groups may also become more prominent or resurgent in Mexican society, particularly in Guerrero, a state rich in revolutionary history. As the government and its supposed democracy and the state continue to fail Mexico, these groups are likely to become increasingly more active. The Insurgent Revolutionary People’s Army (Ejército Revolucionario del Pueblo Insurgente, or the ERPI) has already been reported to have a notable presence at Ayotzinapa and be in contact with the students there. This development could potentially indicate a revival of the 20th century guerrilla movements. According to student leaders, which is run by a student council), EPRI members interact “respect[fully with the students], and…share ideas related to the struggle of the classes.”[xiv] Already at Ayotzinapa, daily protests manifest in opposition to the government, in support of the disappeared. These demonstrations provide an emotional environment conducive to the spread of revolutionary ideas. The ERPI is not the only group that has shown its support for Ayotzinapa. The Zapatistas (Ejército Zapatista de Liberación Nacional, or the EZLN) are behind an indigenous Mayan rebel movement, which has since renounced the use of violence, living essentially autonomously in the southern state of Chiapas. The Popular Revolutionary Army (Ejército Popular Revolucionario, or the EPR) is another leftist guerrilla movement, from which the EPRI splintered in 1998. Demonstrating an ideological alignment, both groups have aligned themselves with and support the Ayotzinapa 43 protests against the state. Masked Zapatista mobilized en masse to march alongside the parents demanding answers in the case of the disappeared students. Some analysts, such as Mexican journalist, Jose Gil Olmos, argue that the Zapatistas movement had “fallen into a natural decline.”[xv] However, the increased mobilization of the public and revolutionary groups in the wake of the Ayotzinapa 43 disappearances may serve as a springboard for the Zapatistas and other rebel groups to regain prominence. Without first adequately addressing what happened to the 43 students of Ayotzinapa, the state risks pushing these movements to engage in violence or becoming more active. In the Mexican magazine Proceso, Anabel Hernández recently reported that at least two dozen of the municipal police in Iguana have been beaten, subjected to electric shocks, and “psychologically tortured” by agents of the Mexican authorities in order to force confessions to explain what happened to the students. [xvi] She continues to insist that the federal government regularly “accuses innocent people to protect guilty ones,” and any testimony given under torture would likely be inadmissible in court. Thus far, the family members of the 43 disappeared students, as well as society at large, remain skeptical of the government. Considering the human rights protests and the spotlight now being placed on the Mexican government, it will be interesting to see how the state would react should protests continue and intensify and such groups become active again. While these groups currently seem to be maintaining a peaceful agenda, reengaging in armed conflict against the government cannot be dismissed. Furthermore, a crackdown by the government, mirroring its “Dirty War” anti-guerrilla tactics, would only plunge Mexico further into instability and violence, and potentially provoke the proliferation of these groups throughout the country. [i] Diaz-Cortes, Richman and Anayansi, “Mexico’s 1968 Massacre: What really happened?” National Public Radio, December 1, 2014 http://www.npr.org/templates/story/story.php?storyId=97546687. [ii] Archibold, Randal C., “43 missing students, a mass grave and a suspect: Mexico’s police,” New York Times, October 6, 2014, http://www.nytimes.com/2014/10/07/world/americas/43-missing-students-a-mass-grave-and-a-suspect-mexicos-police-.html?_r=0. [iii] “Mass grave in Iguala,” Latin News, October 7, 2014, http://www.latinnews.com/index.php?option=com_k2&view=item&id=62355&period=2014&archive=796123&Itemid=6&cat_id=796123:mexico-pea-nieto-intervenes-in-iguala. [iv] “Ayotzinapa: A Timeline of the Mass Disappearance That Has Shaken Mexico,” Vice News, November 6, 2014, https://news.vice.com/article/ayotzinapa-a-timeline-of-the-mass-disappearance-that-has-shaken-mexico. [v] “Cisen vincula al alcalde de Iguala con los Beltrán,” El Univeral, October 7, 2014, http://www.eluniversal.com.mx/nacion-mexico/2014/cisen-vincula-al-alcalde-de-iguala-con-los-beltran-1044011.html. [vi] “What next for Guerrero?” Latin News, October 24, 2014, http://www.latinnews.com/index.php?option=com_k2&view=item&id=62720&period=2014&archive=796393&Itemid=6&cat_id=796393:what-next-for-guerrero. [vii] Amnesty International, Mexico: Submission to the UN Committee on Forced Disappearances (London: Amnesty International, 2015). [viii] “Art. 115, Constitución de los Estados Unidos de Mexicanos,” Sistema de Infromación Judridico Laboral, http://info4.juridicas.unam.mx/juslab/leylab/250/116.htm. [ix] “Blog del Narco: Study shows 70% of Mexicans Fear Their City is Unsafe,” Hispanically Speaking News, July 9, 2014, http://www.hispanicallyspeakingnews.com/latino-daily-news/details/blog-del-narco-study-shows-70-of-mexicans-fear-thier-city-is-unsafe/30477/. [x] “Mexican rights body says disappearances, murders soared in last six years,” Fox News Latino, November 22, 21012. For reports in Spanish on human rights violations in Mexico, see the website for Comisión Nacional de los Derechos Humanos México at http://www.cndh.org.mx/. [xii] Reyes Heroles, Federico, “A las raíces,” Excelsior, October, 14, 2014, http://www.excelsior.com.mx/opinion/federico-reyes-heroles/2014/10/14/986780. [xiii] Patricio Afura-Heim and Ralph H. Espach, “The Rise of Mexico’s Sef-Defense Forces,” Foreign Affairs, July/August 2013. [xiv] Melissa del Pozzo, “Guerrillas at Ayotzinapa: Legacy of Armed Movements Is Present at Mexican Protests,” VICE News, December 9, 2014, https://news.vice.com/article/guerrillas-at-ayotzinapa-legacy-of-armed-movements-is-present-at-mexican-protests. [xv] Duncan Tucker, “Are Mexico’s Zapatista rebels still relevant?” Al Jazeera, January 1, 2014, http://www.aljazeera.com/indepth/features/2014/01/are-mexico-zapatista-rebels-still-relevant-20141183731812643.html. [xvi] Anabel Hernández and Steve Fisher, “Ayotzinapa: cae a golpes versión oficial,” Proceso, February 1, 2015, http://www.noticiasnet.mx/portal/oaxaca/general/agropecuarias/260313-ayotzinapa-cae-golpes-version-oficial. ← Is Chile Finally Completing Its Transition To Democracy? What Would Chapo Guzman’s Death Mean for Mexico? February 22, 2013 COHA Comments Off on What Would Chapo Guzman’s Death Mean for Mexico?